CONCORDIA is an international, independent aid organization for children, adolescents and families, operating in Romania, Bulgaria and the Republic of Moldova. The services of our work with children include alternative care for children in family-like communities in all three project countries. Furthermore our services include social centers for adolescents in precarious life situations, supervised housing for adolescents/young adults, street work as well as a spectrum of educational activities such as learning aid, vocational training or music lessons. Our main goal is to prepare disadvantaged children and adolescents, often left behind by their parents, for a self-determined life. Over the last two decades, the former social project for street children in Bucharest evolved into an organization that offers relief to a total of 1,000 children as well as to families. In addition, we look after and provide food for around 2,500 elderly people in social centers as well as soup kitchens on a daily basis in Moldova and strengthen families in distress by social offerings. In many cases it is crucial to strengthen the opportunities for action of the parents in order to achieve the realisation of children’s right to personality development. We contribute to the advancement of children’s and teenager’s developmental opportunities and chances of life by supporting parents, discussing with them parenting issues and by supporting them to develop perspectives for an independent life for them and their children. We thereby focus particularly on providing help to help themselves, by assisting them in the purchase of means of production and livestock and by offering advice to families in critical circumstances. Through our work with existing families we can occasionally avoid painful separations of the children from their families. “In alternative care settings we achieve change due to stable attachment, resource-oriented support in relevant life fields as education, social participation and creativity (as music activities) and therapeutic services when needed. Finally the effort to develop our collective expertise in the fields of social, analytic and professional competencies is an important precondition for achieving sustainable benefits. In our family-oriented services we aim to empower families and reduce household poverty and increase household incomes which has positive impacts on child level outcomes in education, health and nutrition. We appreciate the research on third sector impact as we think that reflecting on and learning about new methods of measuring impact is important for every organization working with vulnerable individuals and groups from different perspectives (from the perspective of funders, target-groups and experts concerning the further development of methods and services). 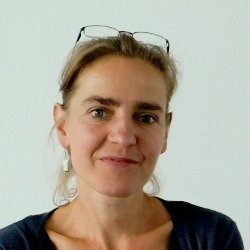 Dr. Monika LENGAUER is responsible for project development at CONCORDIA Social Projects, an organisation working towards poverty reduction in Romania, Bulgaria and the Republic of Moldova. In my engagement I am really satisfied when I see ... ..."that children and young people, we were caring for, enhanced their self-esteem and self-efficacy, realize their potentials and lead an independent, satisfied life; that families increase the resources and capacities to bring up their children in a an environment that promotes self-development and the children are not separated from their families."